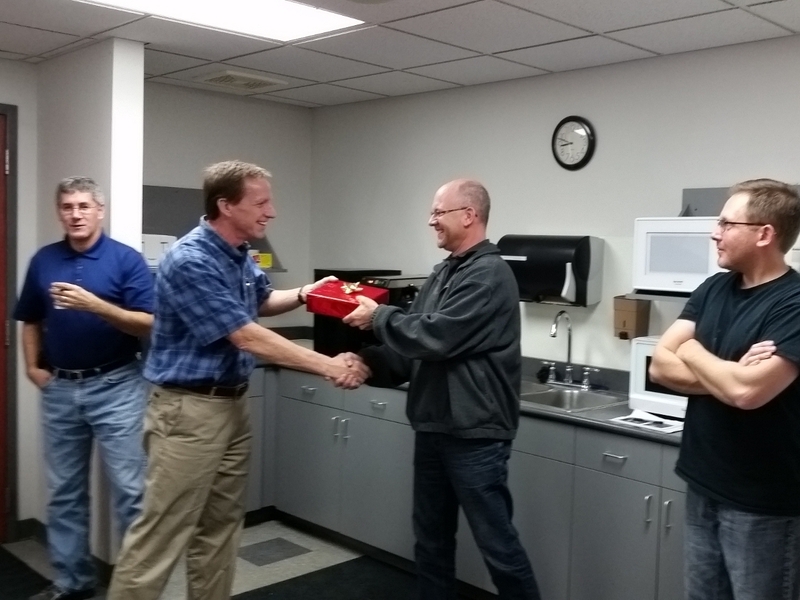 Dan Henning, VP of Engineering celebrated his 10 year anniversary in October. Ken Schweitz congratulated Dan Henning for his 10 years of service and presented him with a gift from the company at our company meeting. Thank your Dan for your experience and dedication in finding solutions that keep customers coming back. Dan Henning looks forward to working with you on your upcoming “low volume” RIM molding projects and or prototypes.